I LOVED the last book I read, typical Nicholas Sparks really. At first I thought the book was going to be really predictable, man falls in love with woman, woman already has a boyfriend, she has to make a choice, blah blah blah. Then at the end of a chapter, I turned the page to an insert page which said ‘Part Two’. The story had skipped forward 11 years and she was in a coma. I did NOT expect that to happen and wasn’t sure where the book was going to go. In the end, it was still predictable, but that’s kinda what I like about Nicholas Sparks, the books are so ‘feel-good’ that they are easy and enjoyable to read. 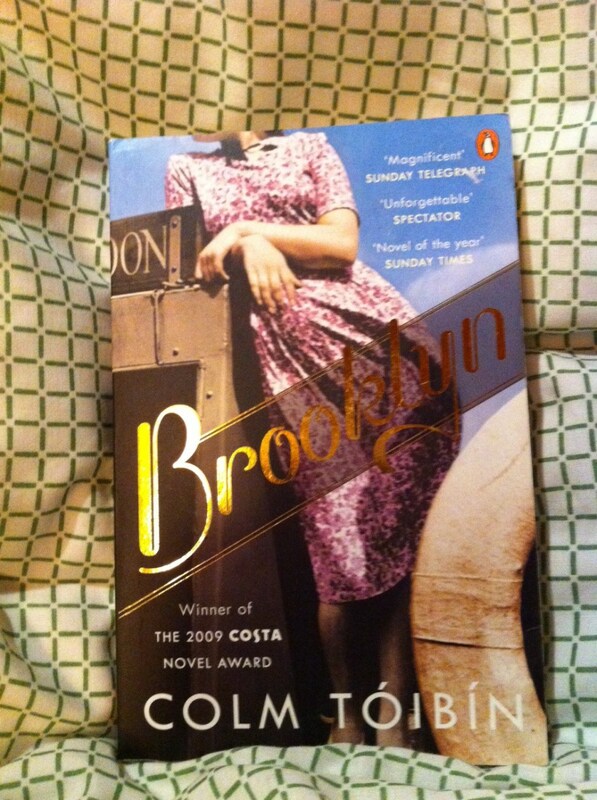 My next book is Brooklyn by Colm Tóibín. I bought it from Amazon for about £2, and apparently it was the winner of the 2009 Costa Novel Award. I’ve never heard of the book before, but it jumped out at me when I was trying to decide what to buy, so I’m glad to finally start reading it. Sounds like a great read. Nicely done.